For ten years Mac users have had a strong and constantly improving image editor called Pixelmator and for three years, so have iOS users. 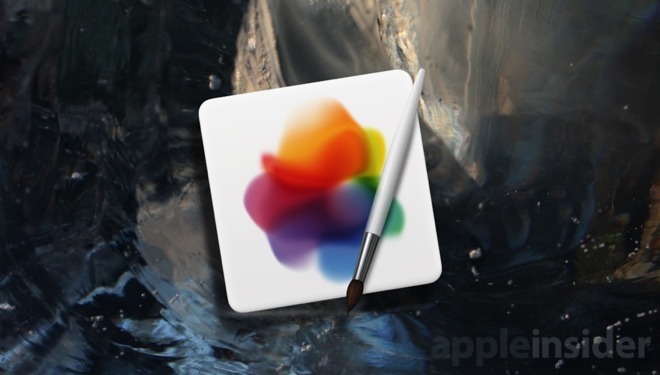 Now the makers have introduced Pixelmator Pro 1.0.5 for Mac. It's not an update, it's a radical new app that brings more Photoshop power to more people. There: it only took two sentences before we mentioned Photoshop. Pixelmator was always compared to Adobe's famous image editor and now Pixelmator Pro is being described as a Photoshop replacement. The makers don't call it that but reviews do and really it's meant as a compliment more than a fact. So forget Photoshop for a moment. What Pixelmator Pro does is bring professional image editing tools to the Mac and it does so in part by exploiting the latest macOS features. Specifically, Pixelmator Pro uses Apple's Metal 2 graphics to speed up image editing and it also leans on Machine Learning. So if you drag an photo into Pixelmator Pro, the app will have a good go at identifying what's in that image. It then uses that information to automatically name layers: you can drag image on top of image and Pixelmator labels them all. Those images you drag in can be RAW ones, photos that are exactly what your camera captured instead of smaller JPEG versions. Apple's Photos app now handles RAW but it doesn't handle layers. To create a new image using overlaid or overlapping RAW photos, you have to have Pixelmator Pro or another professional tool. One of the particular pleasures of the old Pixelmator, which remains on sale for $29.99, was how it let you concentrate on your image instead of on its own tools. Pixelmator Pro improves on that. The floating image window and the floating palettes of tools or options are replaced in the main by a single window that contains everything. As that window is black, your images feel like they pop out from it and you do forget everything except that image and whatever tool you're currently using. Those tools have moved from a floating palette on the left to a fixed vertical strip on the right. They're also redesigned and look superb. We did hit the odd bug where all of the controls would vanish until we restarted the app. Even when that didn't happen, though, it just takes a surprisingly long time for you to get used to where they are. That's most apparent with the Crop tool which lets you cut out areas of an image. We kept staring at that vertical strip of tools trying to find it and we'd still be there today if we hadn't glanced up. Crop is not in the vertical tool strip, it's in a separate horizontal one at top right. It's there specifically because it's so commonly used and is in this horizontal strip alongside the likes of Settings. Choose Crop or any of the tools in the vertical strip and you get a wide vertical bar of further controls between your image and that strip. Typically that new area will include sliders and palettes for making the most precise alterations and over and over again you'll find it a delight. Initially an overwhelming delight, especially if you're new to professional image editing, but a delight. Say you want to paint a color onto your image but the brush size is currently too big or too small. You drag a slider to increase or decrease the size and while you're dragging, that slider is surrounded by a circle representing the current size. So as you slide left and right, the circle shrinks and grows. It is the smallest of small touches but it means you always know exactly what size your brush will be. Gorgeous design touches like that are among the things we'd like to see Photoshop take up too. So, we're back talking about Photoshop. Adobe's tool was the first great image editor and has been the software of choice for everyone doing anything in images for thirty years. It still is. Adobe Photoshop is an astonishing app and as fine as Pixelmator Pro is, there are still only two reasons to choose it over the older software. One is price. Photoshop used to cost hundreds of dollars but now you can only get it by subscription which means you pay less up front —but you never stop paying. Pixelmator Pro is sixty bucks and a one-time purchase. The other reason is ease of use. Adobe is a bit like Microsoft in that it adds features without ever seeming to take any away. As a result, Photoshop has multiple ways of achieving the same or similar effects. Pixelmator Pro also has lots of ways and options to get from image A to composition B but it's more controlled. Pixelmator is more like an Apple piece of software in that it doesn't do everything but what it does, it does very well. Neither app will ever be as easy to use as Apple's own Photos —but that's because they each do so much more. So ridiculously, preposterously more that it's impossible to even list every feature and every option. That does mean that Pixelmator Pro is powerful. 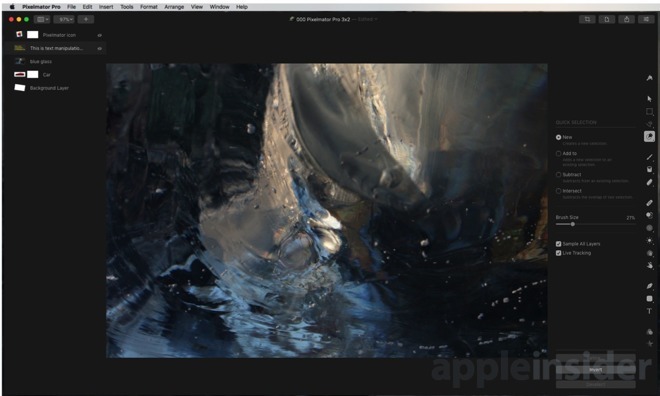 If you're now finding you need more tools and control than Apple's Photos gives you, get Pixelmator Pro. However, if your work depends on creating and sharing Photoshop's .psd files, get Pixelmator Pro's trial version before you shell out for the full. That .psd format is proprietary and only Adobe really knows how it works. Developers including Pixelmator and others can do so much with these files. Pixelmator Pro does a lot, yet can't do everything —for example, it doesn't handle what Photoshop calls Smart Objects. 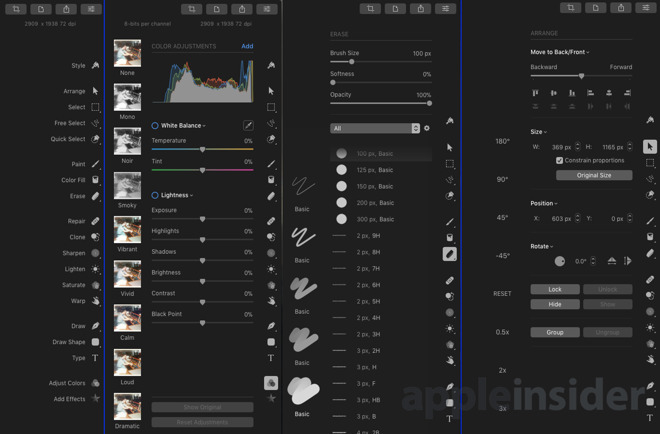 There will be other things and as image apps are just oceans of tools and options, if you're a full-time professional user then the only way to know if Pixelmator Pro does what you need is to try it. Still, if image editing is your life, you should get Pixelmator Pro just because you'll enjoy exploring it. We've ended up criticizing Pixelmator Pro 1.0.5 for not being Photoshop and it isn't but it's genuinely an exceptional app. It does have little flaws like sometimes confusing controls but it is a powerful app that is a pleasure to use. You constantly find new delights in it and the more you do, the more you realise this isn't some kind of cheap Photoshop clone. It is its own app. If Pixelmator Pro for iPad matches the Pro features of the Mac version it will be significant, as there isn't an Adobe Photoshop for iOS. There are multiple Adobe apps on iPad and several include the name Photoshop plus specific tools but there isn't an all-round image editor from the company. Whenever Pixelmator Pro for iPad comes out, that's when this app will become a threat to Photoshop. PixelMator Pro 1.0.5 for Mac is available in the Mac App Store for $59.99, and requires macOS 10.13 High Sierra. You can get a 30-day free trial direct from the developer's site.